The Body Shop’s Integrated International Brand Communications Director, Charlotte Amouy Adjchavanich, explains how the cosmetic company harnesses influencer marketing at scale to both promote its 1,000 products and push for a global ban on animal testing in cosmetics. Traackr has partnered with Scott Guthrie for the following interview. This forms part of our new global series “Influencer Marketing at Scale”. Other companies featured in the series include How Meliá Hotels International Scales Influencer Marketing Across 7 Brands and 4 Continents. Dame Anita Roddick opened her first The Body Shop in Brighton, on the south coast of England in 1976. Today the British cosmetics, skin care and perfume company operates from 3,049 stores across 66 countries. Last year the company was acquired by Brazil’s premier cosmetics company Natura after 11 years within the L’Oréal stable. However, The Body Shop retains its unique identity and values and continues to be based in the United Kingdom. Though currently selling a range of 1,000 products the pioneering company is as well known for its good-cause campaigning as it is for its cosmetics and skin care products. Its Against Animal Testing campaign led to a UK-wide ban on animal testing of cosmetic products and ingredients in November 1998, and the largest ever petition (four million signatures) being delivered to the European Commission in 1996. In 1997, The Body Shop was the first international cosmetics company to sign up to the Humane Cosmetics Standard, supported by leading international animal protection groups. And in 2007 The Body Shop joined forces with MTV to raise funds and awareness about HIV and AIDS. ‍Charlotte Amouy Adjchavanich, Integrated International Brand Communications Director for The Body Shop manages Influencer marketing for the beauty brand. 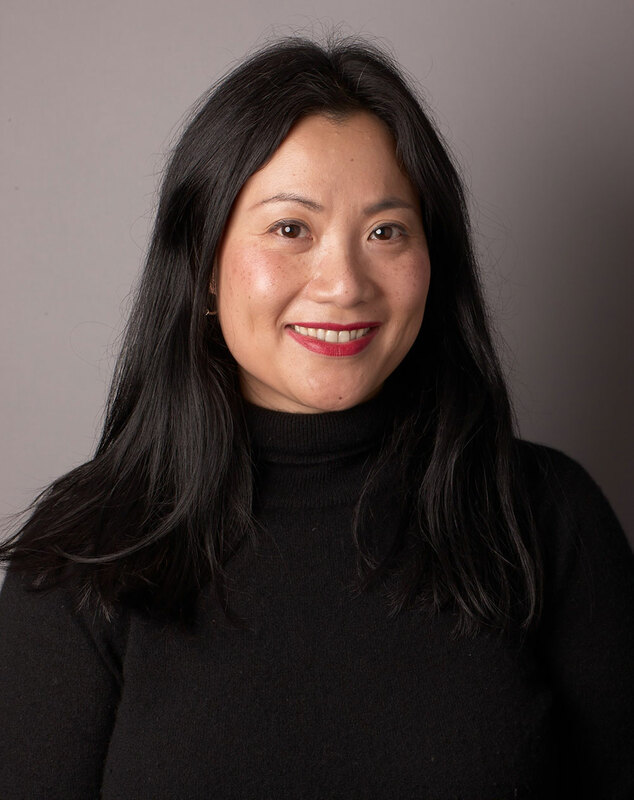 I spoke with Charlotte Amouy Adjchavanich, the Integrated International Brand Communications Director for The Body Shop about influencer marketing at scale and how The Body Shop works with influencers to drive social change as well as to drive product sales. [SG] What is The Body Shop approach to influencer marketing? [CAA] The Body Shop has grown through word-of-mouth marketing. Anita Roddick really knew how to mobilize people whether it was British fashion designer Katharine Hamnett or US rock musician Chrissie Hynde on promoting the ban of animal testing in cosmetics. To The Body Shop everyone is an influencer. Our store staff are influencers. Peer-to-peer communication is very important. People look to their friends for advice. We have very strict criteria when it comes to working with influencers to promote our brands or social causes. We always say it’s not just about another pretty face it’s about finding someone who stands for something. We undertake a lot of due diligence on potential influencers. We'll always check they haven’t worn fur in the past, for example. That’s a huge thing. We also want to know whether they’re vegetarian or vegan. If they’re not that’s okay as long as they have a strong ethical reputation and they’re completely legitimate. We take influencer marketing very seriously. We’re so discerning about who we work with. 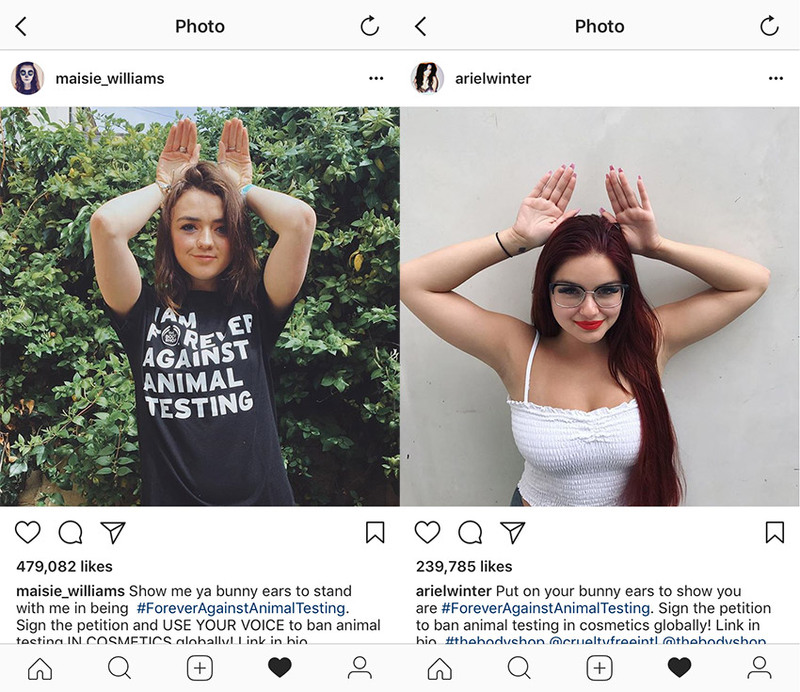 ‍The Body Shop collaborated with both Masie Williams and Ariel Winter for their Forever Against Animal Testing marketing campaign with great results. We harness different types of influencer for different situations. For our Forever Against Animal Testing campaign for instance we’ve worked with high profile influencers and celebrities. Maisie Williams from Game of Thrones posted a picture to her Instagram feed using the hashtag #foreveragainstanimaltesting. It generated 479,000 likes. Similarly Ariel Winter from US sitcom, Modern Family, used the hashtag when she posted an image for our cause. Ariel’s photo prompted 240,000 likes along with thousands of positive comments. 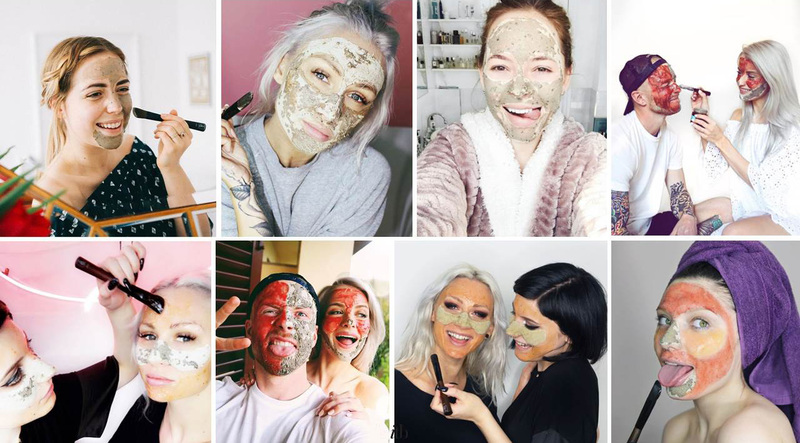 With the Dare to Mask campaign, The Body Shop leveraged lifestyle focused, vegan influencers in order to reach their desired audience. If you look at our Dare to Mask program which was all about promoting our face masks we used a lot of vegan influencers. There we tried to get people who had more of a lifestyle focus rather than just pure beauty. [SG] Which team at The Body Shop is ultimately responsible for influencer marketing? [CAA] The brand team owns influencer marketing. We have a digital team, too. Brand works with digital on social media amplification. So if we want to do a big push and put some paid media behind a certain project we'll go to the digital team. The brand team is typically more ‘owned media’ biased. The digital team is more ‘paid media’ focused. But we work together. Digital won’t engage with an influencer; they’ll ask the brand team to do that for them because we usually have the relationship already. It’s the brand team which owns the influencer budget, too. The influencer element is the largest spend of my marketing budget, we see that’s where we get a lot more engagement, visibility and awareness than other marketing tactics. Our insights team has done a lot of brand health studies showing there’s a need for influencer marketing. It is definitely a brand builder. We are one central brand at head office here in the UK. We then have global zones: the Americas (the US, Canada and Latin America) EMEA and APAC. In terms of influencers we work very closely with the heads of each zone. Their jobs are to work very closely within their markets. We don’t look to pure beauty influencers per se. We empower our local markets to select their own influencers who are the right fit for their market. We realise that you never benefit from a one-size fits all approach. You might get someone who’s absolutely amazing but she’s only known in a certain part of the world. And that’s perfect for that particular zone. 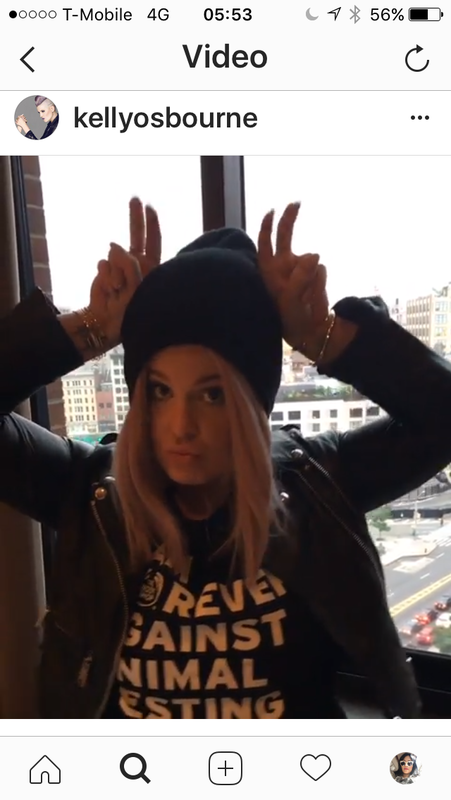 The Body Shop engaged influencers globally including the United States based Brit, Kelly Osbourne. If we’re going to work with big-named influencers we’ll work very closely with our zones and ask them to nominate people who they also like. This approach helps form a global tribe. So, again with Forever against Animal Testing not only did we have Kelly Osbourne, who’s based in the US but who’s a Brit and known all around the world, we also had Dalal: a vegan blogger. She’s huge in the Middle East with 2.2 million Instagram followers but not widely known elsewhere. [SG] How do you organize the influencer marketing approach globally? Is the function managed internally, outsourced or is there a blend? 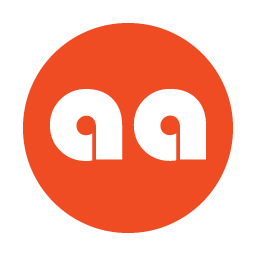 [CAA] We oversee and set the agenda for all influencer marketing programs in house. We used to reach out to influencers and engage with them either directly or via their agents. 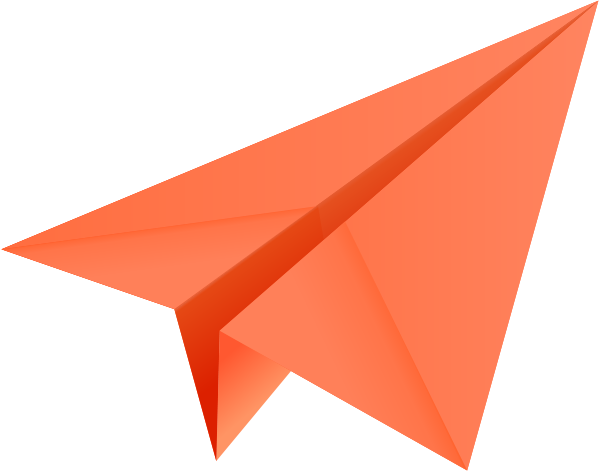 However, the admin side of things is very complicated in terms of onboarding them and paying them - that’s the boring side - so we have started working with agencies. It’s a lot easier to funnel everything through them. We see our key role in-house as building the relationships with influencers. At a global perspective we seek to maintain a personal touch so that there’s a true, authentic partnership. We have built an influencer marketing toolkit that we give to our agencies and local zones. In it we lay out our influencer priorities. It’s usually done at the brand level of what’s important to us. [SG] How does The Body Shop share best practice about influencer marketing across its brands, agencies and global zones? [CAA] We use our influencer tool kit. We share ideas through regular conference calls and video calls. We also have market visits where a zone will come here to head office. The head of EMEA is based in Paris, so he’s here a lot. I’m visiting the US next month to spend time with them. And I’ve recently returned from Nepal visiting with our APAC team. We spend a lot of time talking with the different zones and working very closely with the teams. We communicate daily about influencer projects. [SG] How does The Body Shop measure its influencer marketing success? [CAA] At the Body Shop we track two things. Obviously we want to track sales. We’re still learning everyday about how to follow the metrics through to purchase. But our biggest campaign is Forever Against Animal Testing which we launched last June with the ambition to get 8 million signatures and so get the United Nations to move to a global ban on animal testing. We put a lot of effort behind pushing for more signatures in all of our markets. It’s not just about sales, it’s about getting people involved in our campaign. So signing the petition is a key metric we’re tracking. We set KPIs for each program. Normally we look for an uplift in followers to our The Body Shop Instagram account. We also look at engagement, brand recall and brand sentiment. We’re looking out for people who, perhaps, had forgotten about us and who now love us again. Positive sentiment is a big thing for us. Scott is an independent influencer marketing consultant. Previous roles include overseeing influencer relations at leading agency, Ketchum, and serving as the newswire product manager, EMEA at PR Newswire. Follow him on Twitter. Read his Blog Marketing d'Influence, or watch “My Influencer Marketing Philosophy”.